My friend Sam shared with me a recent experience in which he was able to meet a daughter he had not seen for almost 10 years. Sam and his wife Diane had been married for nearly ten years and had one daughter Kaylee. Sam made some serious mistakes in his life and ended up having a one-night stand with another woman that cost him his marriage. Sam's life spiraled downward as he went through the divorce and Diane won sole custody of Kayle. Diane and Kaylee moved about 12 hours away to be closer to her family. Sam didn't begrudge the move because he knew the pain that he had caused for both of them. He tried to maintain contact with Kaylee, but Diane would not allow more than very occasional contact. He found himself believing that it would be better for him not to be part of Kaylee's life, even though it caused him great pain. He stayed current with alimony and child support, and while Diane never remarried, after several years, Sam did and began raising a new family. Once Kaylee graduated from high school, she enrolled in a college just two hours away from Sam and his new family. One day, Sam received a request on his LinkedIn account to add Kaylee as a contact. He was totally surprised but readily agreed. Just a few days later, he received a message from her wanting to get together. For Sam and Kaylee, it was a wonderful experience. They met at a coffee shop near her apartment and spent the better part of the day catching up and healing some old wounds. Reunions between estranged fathers and children can end up positively like Sam and Kaylee's. But that is certainly not always the case. Thinking hard about the idea of a reunion is critical, and the child needs to be very deliberate and thoughtful about reuniting and how it should best be done if at all. These ideas will help you consider carefully the preparations you need to make before contacting your estranged father. Children and fathers become estranged for many reasons. Often, as in Sam's case, a divorce and a move create the estrangement. Sometimes, fathers have been abusive. Some fathers left their families. Some were involved with alcohol or drugs. Some dads are innocent victims of parental alienation. In other cases, children have run away to avoid discipline or parental control. So a child has to carefully consider the reasons for the estrangement and what might be done to create healing. If you and your father were estranged because of an abusive situation, you should not reconnect without being sure that you will be safe and secure, physically and emotionally. If you have been in therapy for the abuse, you should consult with your therapist before initiating contact. For many estranged children, the idea of reconnecting with a father who has been absent for many years may be charged with romanticism or fantasy. You may have wondered all these years if he still loves you or thinks about you. You may have created some imaginary scenario about the separation or about your dad's new life that is not grounded in reality. So carefully consider your motivation and your expectations. Some children need to reconnect with a father for health reasons; some for financial reasons; and yet others hope just to find peace and healing. For others, they begin to question all the bad things that they might have been told about Dad from their mother or her family. Make sure that you have a good reason for reconnecting that you can articulate to yourself and to him. Reconnecting with a long lost father can be emotionally challenging. You will need a support network of people you can talk to as you prepare, plan and execute your plan. Trying to take on something this emotionally charged all by yourself is probably a mistake. Bounce your ideas and thoughts off of someone you trust - a friend, a sibling, a roommate, an aunt or uncle, a member of the clergy or a therapist. Having a good sounding board is really important. Make sure your initial contact is friendly and casual. Your dad may well be surprised by the contact and worry about how it might disrupt his life. Make the first meeting in a neutral place, like Kaylee's invitation for coffee. Don't plan to spend the whole day, but a short meeting is a good start; you can always meet again if it goes well. Then allow the new relationship to move at an appropriate, natural pace without forcing anything. Particularly if a long time has gone by, your dad will not be the same person you remember, if you remember him at all. He will likely be a bit more mature, hopefully, more grounded and probably quite nervous. So don't expect too much and be prepared for disappointment. If everything works out well, your expectations will have been surpassed. If not, chalk it up to experience and move forward. 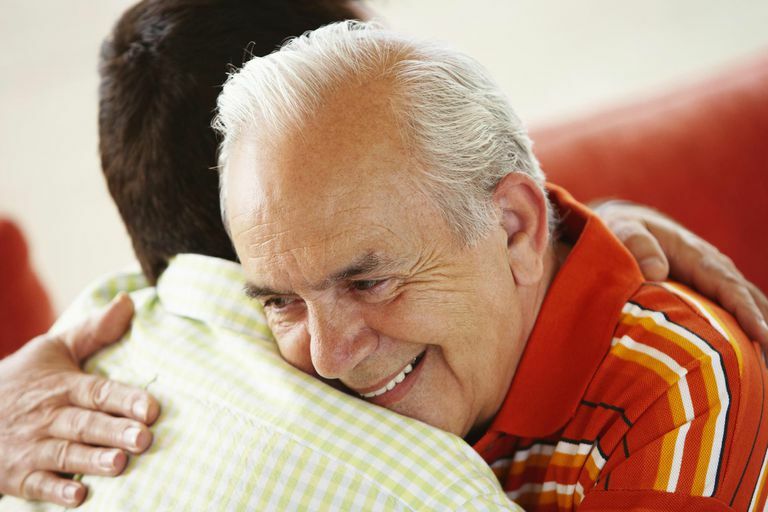 A little preparation for a major event like reconnecting with a father will go a long way to making it a better experience for you and for him.